Introducing the Africa Day 2018 line-up! We have been very lucky to have so many talented performers at our previous Africa Day events that have made the day so enjoyable for everyone. This year is no different. We are so excited to see Ines Khai, a singer from Guadeloupe, perform on the Kwassa Kwassa Stage. With only a guitar and her voice, her beautiful songs capture anyone who listens. She depicts an intimate story about crossing oceans with beautiful creole words and melodies. Come along on this journey! Joining Ines on the Kwassa Kwassa Stage is young singer-songwriter and pianist Farah Elle. Elle blends an Arabic style to her music, along with hip-hop and R’n’B, giving her songs a unique sound. We can’t wait to see the enthusiastic young artist do her thing on the 27th! Over on the Atilogwu Stage we have the multi-award winning Malawian born, Irish rap artist, songwriter, producer, Pop Dogg! With his explosive lyrics, clever punchlines and smart wordplay, Pop Dogg has carved out a niche for himself in the Irish hip-hop landscape. And on the Malaika Stage, the young singer songwriter from Wexford Town, Rachel Grace. She is a proudly homegrown independent artist, and from a young age, has been self-funded since she first started writing and producing music. She’s been described by her followers as a unique young lady with a powerful observation on life and the voice of an angel. But that’s only a taste of what’s in store, the rest of our line-up for the day includes everything from belly dancers to spoken word artists to a speech from Minister Ciarán Cannon himself. 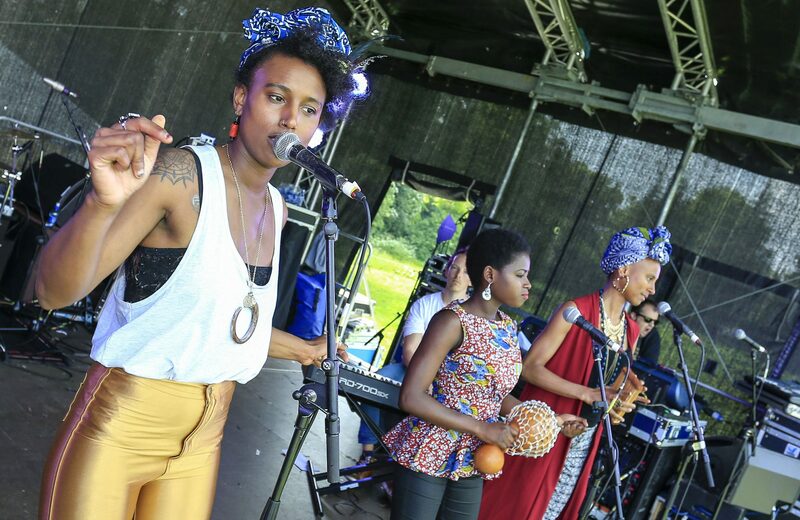 To see the full line-up for Africa Day Dublin click here!